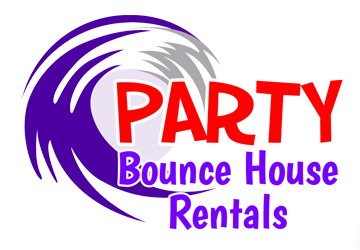 Welcome to Party Bounce House Rentals! 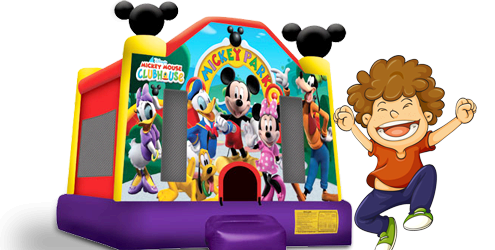 We Rent All The Officially Licensed Disney Bounce House Rentals You Need To Make Your Party Awesome! 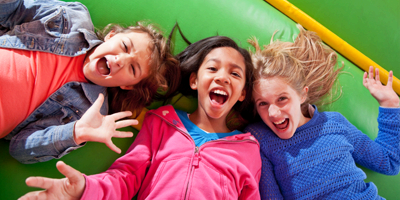 Bring excitement and fun to your next event or party with bounce house rentals from Party Bounce House Rentals. We have the biggest selection of bounce houses, inflatable water slides and bouncy castle rentals in Sacramento, California. Choose from a wide variety of styles and colors, perfect for birthday parties, graduations, fundraisers and corporate functions. 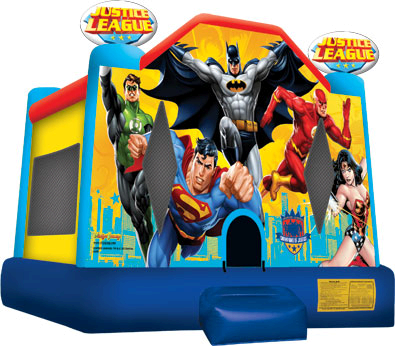 Party Bounce House Rentals is proud to serve Sacramento, Elk Grove, Roseville and Folsom with the highest quality and most affordable bounce house rentals, guaranteed. Customer satisfaction is our number one priority, which is how we’ve become the premier rental house in the area. Browse our online gallery to find the perfect house, castle, slide or character inflatable for your next event. Party Bounce House Rentals has a variety of classic style tent rentals that are perfect for family backyard gathering, wedding receptions, graduation parties and so much more. These elegant commercial grade tents are delivered and setup at your location. If you’re not sure what size tent you need, just call us at (916) 585-0597 and we will be happy to assist you in selecting the right tent. This year is the perfect time to plan a royal party for your special princess, and who would be better to host that party than “Sofia the First”. 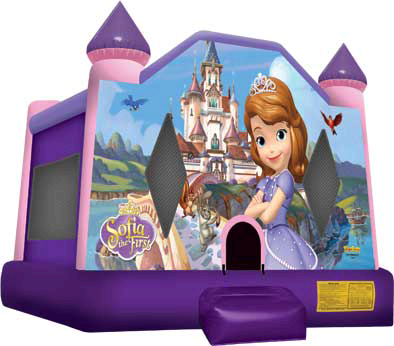 This charming bounce house rental feature the famous Sofia cartoon character right at the entrance to greet all the royal guests, in bright clear Disney licensed graphics. This unit features a large 15ft x 15ft bounce area, an inflatable safety ramp at the entrance, and large netted vent windows all around. This keeps things cool and allows parents to see all activity inside. Combine this unit with one of our concession machine and you be ready for a great princess party. 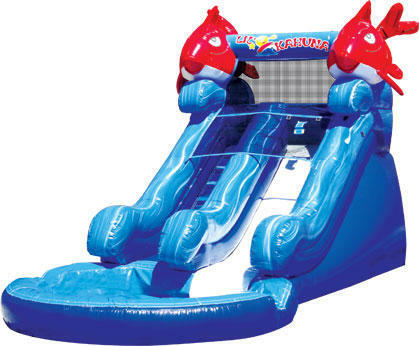 What better way to cool off and have fun at the same time on a hot California afternoon, the splashing in one our awesome water slide rentals. Our slides are perfect for large events or fun in the backyard, and are equipped with the best safety features in the industry. The Lil’ Kahuna slide shown here has front climb entrance and the “No-Jump” safety netting at the top. Our waterslides are12, 14 and 16 and 18 feet high. Rent a water-slide in Sacramento and surround cities. These are suitable for adults and kids as well. Waterslides have a built-in shower head located right on top above the slide which is connected to the garden hose and the slides also comes with a big pool at least 18 inches deep. The water units are a big hit since Sacramento is always hot!